On November 1, Canada ratified the World Bank’s ICSID Convention by depositing its “Instrument of Ratification” with the ICSID. In doing so, Canada is the last G8 member to ratify the Convention. Canada signed the Convention on December 15, 2006. Bill C-9 which was the implementing legislation, received Royal Assent on March 13, 2008. In a previous Litigator article, I wrote that the ratification of the Convention “has been a long time coming”, and lamented the lack of action by Canada in ratifying the Convention. In ratifying the Convention, the Canadian Government has finally allayed the concerns of Canadian businesses and potential foreign investors. I would like to commend the Government of Canada for the ratification of this convention. It certainly strengthens Canada’s reputation in the global economy. The ICSID provides potential investors with predictability in resolving disputes, thus making Canada a more attractive place for foreign investment. Furthermore, it will provide Canadian investors abroad with this same predictability and thus make foreign investment in ISCID member states more attractive to potential Canadian investors. The ICSID is the leading international arbitration institution devoted to resolving disputes between investors and host states, and Canada’s ratification of the Convention will be of great benefit to the Candian economy. 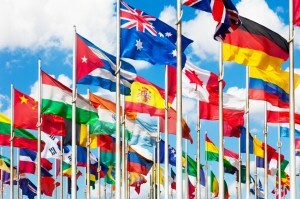 Member states and investors are not obligated to use the ICSID. Instead, the ICSID simply provides a neutral place for arbitration and a roster of qualified arbitrators appointed by states who have ratified the Convention. The ICSID provides participants with speed, expertise, and neutrality that is not provided by other dispute resolution mechanisms, such as ad-hoc UNCITRAL arbitrations. The ICSID is advantageous compared to other aribtration mechanisms for a number of reasons. All ICSID decisions are final, and this provides for the kind of certainty desired by investors and host states, who will not have to worry about the intervention of domestic courts. Furthermore, the ICSID also offers greater certainty and predictability with respect to enforcement of judgments, as all ICSID contracting states are required by the Convention to enforce ISCSID arbitral awards.